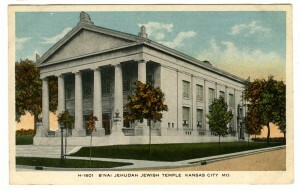 Kansas City is unique in that it is home to so many religious groups and the diverse histories they bring with them. If you have driven down 71 highway, particularly near Linwood Boulevard, you will notice a number of immaculate churches with breathtaking architecture that conjures up images of Old World European cathedrals. I have driven by these churches so many times and always marveled at the dramatic contrast between these massive structures and the thriving metropolis that has grown up around them. Part of the work I am doing in my in internship deals with the East and Swope District, both of which contain a majority of the city’s churches. The past couple days I have been buried in property deeds and descriptions for many of these churches and while it might sound boring, it has actually been quite fascinating. I have learned so much how about how the various religious groups in Kansas City divided up the geographic landscape of the city. I would like to think that I have become a bit of an expert in architectural terms associated with churches such as fenestration, doric porticos, sash windows, stone gables, and buttresses. So why is all of this important? Well, for one, I think it is imperative to understand the historical significance of the churches in our city. They represent much more than a Jewish Synagogue or a Catholic Cathedral. These awe inspiring structures remind us of the melting pot of religions that is Kansas City and how a boulevard like Linwood managed to pack Presbyterian, Catholic, Methodist, and various other religions into one lane that comfortably coexisted. In another sense, these churches stand as symbols of a dedication to archictecture that is rarely seen in our modern world. Essentially, an effort to create cathedrals that call to their old European predecessors versus the more modern church structures built today. These magnificent buildings serve as a reminder of the old and the new in Kansas City, standing out in their ancient appeal against the backdrop of a fast developing city. Sadly, some of these amazing churches have long since been abandoned. Fortunately, some have been repurposed into various business or similar purposes. 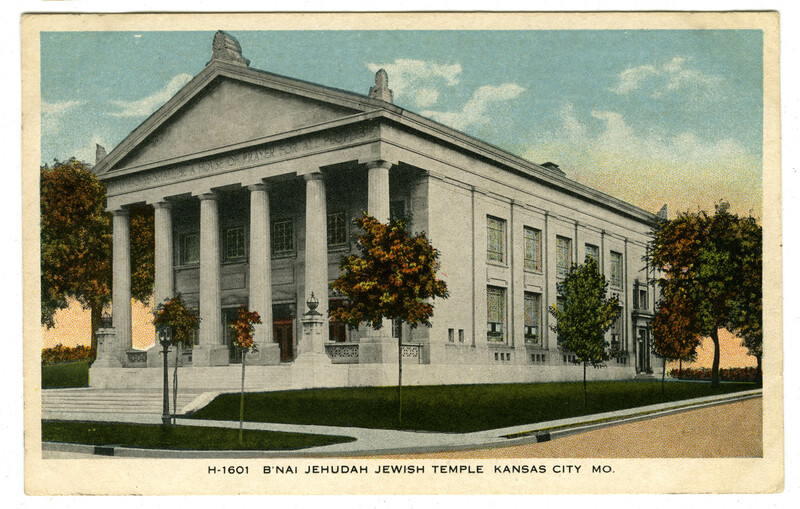 My favorite example is the B’Nai Jehudah Temple that looks as if the Parthenon itself had been dropped into Kansas City. Today that temple is the Robert J. Mohart Multi-Purpose Center. While it seems rather unfortunate that the building is no longer occupied by the original congregation it was designed for, it is nice that the building is being used and not abandoned. If not used as churches I think it is important to preserve these structures not only because of their historical significance (this temple was home to the largest Reform Congregation in Kansas City and the largest reform group in the Midwest), but because of their architectural significance. It is one of the fines examples of Greek Revival structures in the city and should therefore be preserved and maintained. The best part about working with all of the property descriptions of these churches is learning the dual histories of the architecture and the original congregations. It has certainly made me appreciate all the immaculate churches and cathedrals I have driven by in the city. 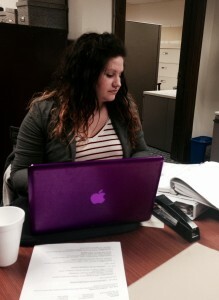 This entry was posted in HistoryMaking and tagged Churches and Cathedrals, Congregations and Architecture, Historic Preservation, Kansas City, Kansas City History, Kansas City Public History, MO Historic Preservation Office, Office of Historic Preservation on March 27, 2014 by Natalie Walker.